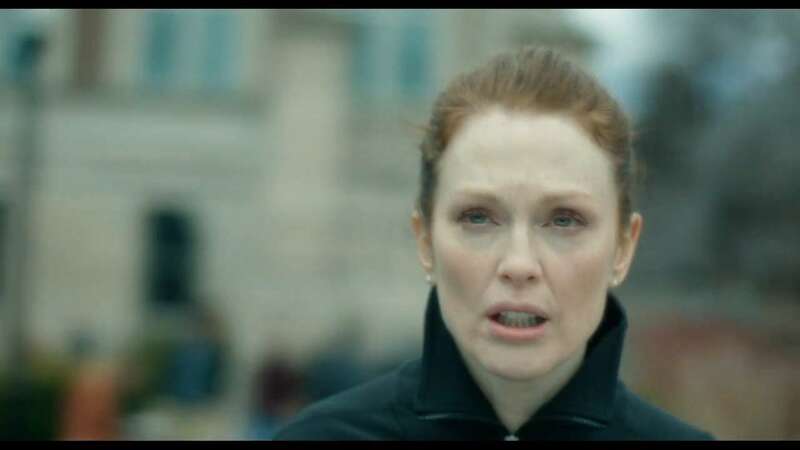 By any measurement you care to mention, Julianne Moore has had an extraordinary career. In an industry which remains obsessed with youth and all that is fleeting, her longevity has been little short of inspirational to actors and audiences alike. And in all the time that she has been in Hollywood, she's managed to maintain a good amount of box office pull while being able to choose smaller, more offbeat projects which other actresses her age might never get offered. Mark Kermode admires her work so greatly that in his autobiography, It's Only A Movie, he cast her to play his wife in the fictional film of his life. 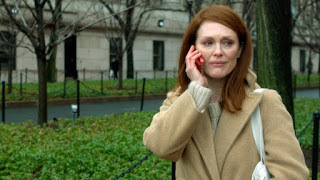 Moore's Oscar win for Still Alice, after being nominated on four previous occasions, could be seen as the culmination of a career which has seen her work with such stellar talents as Paul Thomas Anderson, Robert Altman, David Cronenberg, Todd Haynes and Ridley Scott. But even if you take the Oscar out of the equation - taking the Academy's decision with the typical kilo of salt - the film is a really powerful and tender experience. It's a million miles from the typical Hollywood approach to serious illness, and as its centre we find Moore at the very peak of her powers. Because so much of its essence is about glamour and mystique, Hollywood's most common approach to terrible illnesses is to downplay the symptoms for as long as possible and then jump right ahead to the extreme endpoint. If the film is about, say, a cancer patient, the patient will look as healthy and as well-fed as any member of the cast before suddenly declining in the final reel and popping their clogs. Kermode dubbed it "photogenic movie sickness" in his review of Gus van Sant's Restless (think Harold and Maude but pretentious and unfunny). Long after the star system declined, Hollywood is still wary about letting its leading lights deliberately dress down, unless they do so in a manner which deliberately draws attention to their own so-called pain and suffering. By contrast, Still Alice deftly avoids this enormously problematic pothole, showing Alice's decline in full and over a steady period. The first traces of her condition are so slight that they seem insignificant, the sort of thing that could be excused or attributed by her busy lifestyle and demanding personal life. But bit by bit the evidence grows and our hearts grow heavy as Alzheimer's begins to eat away at all the things that define Alice, whether it's her ability to do her job or to recognise her own family. Moore's performance throughout the film is brilliant, refusing to go down the showy route and just letting the character unfold before us. She continuously resists any urge to fly off the handle and thereby makes her most painful and embarrassing moments ache all the more. Most painful is where we see her urinate herself because she cannot remember the way to the toilet. Like Naomi Watts' masturbation scene at the end of Mulholland Drive, the scene takes an action which could induce a snigger and uses it to express how hollowed out a person has become. By adopting such a naturalistic approach, the film is making a powerful point about the way that our society deals with long-term illness and a slow, painful decline in faculties. In this age of reduced attention spans, whether caused by technology or merely exacerbated by it, we want stories that cut to the chase; we don't want life to end, and if it has to end we want it to be quick and painless. Still Alice is a reminder that life isn't always like that; our perception of time can vary in speed, and in wishing for something to be over, we neglect to create the memories which in the end may matter the most to us. Our society drastically needs to decrease its pace and regain the meaning to be found in slow, close personal contact. Still Alice is also an examination of identity, and how it can be retained through certain essential qualities even as other aspects of it are disintegrated. The title is an expression of eternal dignity towards the central character, with neither the directors nor the other characters ever drawing a line in the sand beyond which Alice no longer exists. Just as people like to characterise cancer as something which can be physically beaten back and fought, so Alzheimer's is not allowed to define or swallow up Alice: even when she can barely speak, we still believe that it's her speaking and her brain working hard to make that happen. Much has been made of the fact that co-director Richard Glatzer suffered from ALS (motor neurone disease) while Still Alice was being made, and died shortly after the film was released. Peter Debruge, writing in Variety, speculated in detail about how Glatzer and his partner and co-director Wash Westmoreland used their personal experiences to bring realism to Alice's story. It's easy to overegg this point and conclude that the film is somehow semi-autobiographical, but what is undeniable is that every emotional development in the film feels gut-wrenchingly real. The script is tender yet understated, and the directors allow the material to speak for itself rather than force-feeding us sentimentality. 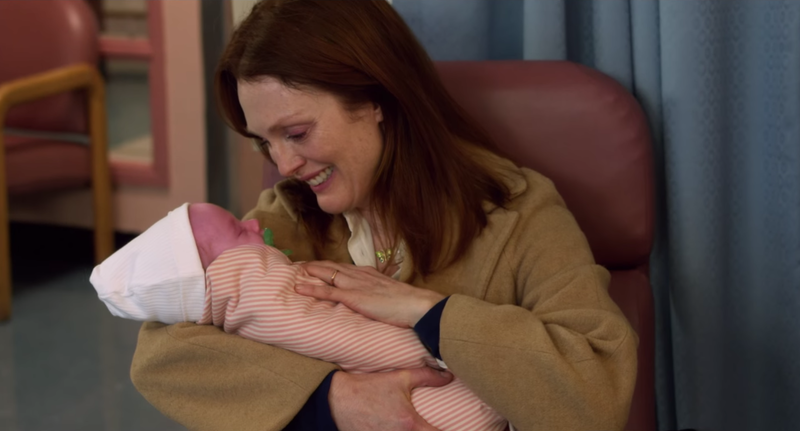 An additional theme within Still Alice is that of expectations and the relationship between culture and medicine. Alice finds herself at a confluence of both spheres of human endeavour, with her daughter entertaining ambitions of being an actress and her husband being offered a role at the prestigious Mayo Clinic. While the film tends to focus more on medicine, both are ultimately given value by Alice's experiences, and she struggles to match people's expectations of what she can still do against the high hopes she has for them. She wants the best for her husband and daughter, but her desire to support is balanced by a need to fight the self-loathing which leads her to attempt suicide late in the film. Moore's brilliant performance is balanced in this regard by a brace of very fine supporting turns, from a pair of actors on surprisingly good form. Alec Baldwin has drifted into lazy brashness far too often recently, but here he manages to hold himself together, keeping his frustrations just below the surface and letting his posture do the talking. Likewise, Kristen Stewart has very consciously sought to broaden her range since the Twilight series concluded, and while not all her attempts at this have worked, here it pays off. We begin expecting yet another mopey, introverted china doll and end up really taking to her character. Still Alice is also a pleasant surprise in terms of the talent involved behind the camera. Cinematographer Denis Lenoir doesn't have the greatest record, lensing such turkeys as 88 Minutes, Righteous Kill and So Undercover. But here he's on best behaviour, with some tender, bittersweet colours and compositions which serve the material very nicely. Equally good is the unobtrusive score by Ilan Eshkeri: his work here rivals his score for Stardust, adding subtle emphases in every scene without feeling the need to dominate proceedings. Still Alice is an almost perfect film which knocks almost every other American film about illness into a cocked hat. Despite the occasionally repetitive mis-step or episodic moment, it rises to the complex challenges presented by its subject matter to leave us both heartbroken and inspired. Moore's performance is of towering brilliance and she lifts everything around her, resulting in a gripping, tender and believable drama whose importance will only grow in time. Good movie but one I will never watch again because hit too close to home for me, Julianne Moore's excellent acting be damned. I lost my grandmother to Alzheimers disease last summer and since we lived in different states I never got to know her well. I'm very upset about it because when I did meet her, she was a very nice lady and the thought of her going like that breaks my heart. Thanks for commenting Carly. Really sad to hear about your grandmother. The fact that you can't see this again is, I suppose, testament to its power and realism.